D35*850L*5/8"-11 dry use diamond core drill for granite are produced by silver or laser welding.It can be suitable for stand drilling machines or electrical hand-held drillers or CNC machine.For drilling kinds of granite marble or hand stone.Silver welded is better for wet use and laser welded is better for dry use. 1, Professional for dry drilling design. 2, Laser welding,more suitable for dry drilling. 3, Provide faster drilling speed than normal drill bits. Diamond drill bits packing in the carton. We can also pack the diamond drill bits according to your requirements. 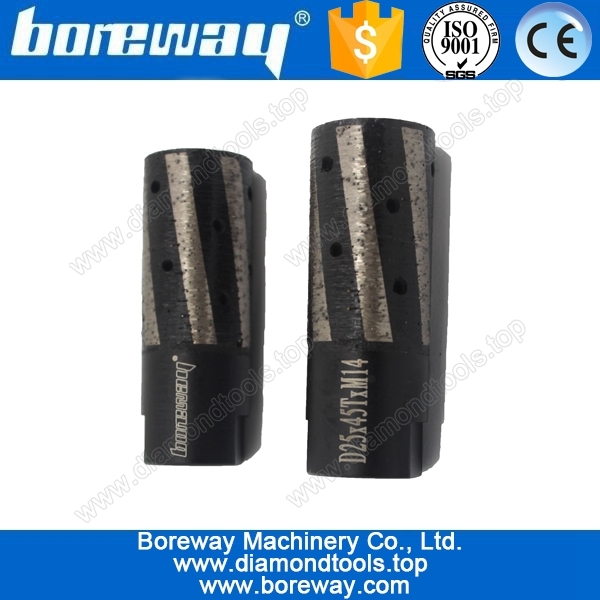 Send your inquiry to our good quality D35*85L*5/8"-11 dry use diamond core drill bits for stone products.